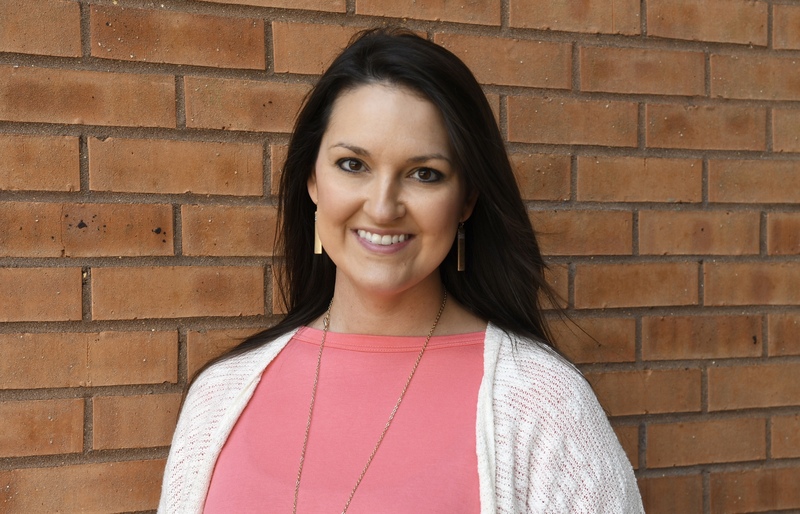 From a life bright with stage lights, Kerri Sanders brings an abundance of experience and knowledge to her new role as Jackson Academy’s theatre director. In her Theatre and Theatre Tech classes, Sanders will guide students in the many facets of theatre while she also directs JA productions, including this fall’s Mary Poppins. For Sanders, teaching theatre at JA is an opportunity to help students grow in their pursuit of significance and purpose. “It’s a funny thing when you discover your purpose and you find that you’re most comfortable when it’s challenging you,” says Sanders, “I have to be doing this.” From a one-woman production of Little Red Riding Hood, given for her grandparents when she was 4 or 5 years old, to her recent position as education director at New Stage Theatre, Sanders has rarely known a time apart from the art. High school involvement in community theatre and a Bachelor of Arts in theatre from Belhaven University convinced Sanders that the stage was the place for her talents and purpose to merge. She even met her husband through theatre. Sanders plans to channel the excitement and support for theatre that is already in place at JA as she leads students and expands the program. Starting an International Thespian Society troupe at the school and increasing the number of competition opportunities for JA students are two of her priorities. She will also draw on her contacts to bring professionals from the theatre community to educate and encourage students. At the end of October the cast of Mary Poppins will take the stage under Sanders’ direction, with more than 125 students slated to delight audiences with the classic musical. Before the phrase “I can’t, I have rehearsal” becomes a necessary mantra, Sanders is busily preparing for the year. At home in Brandon with her husband Michael, German/Australian Shepherd dog Kora, and their cats Hermione and Dobby, she relaxes by growing vegetables in the couple’s garden. Earth, rain, and a lot of light combined with Sanders’ care grow the plants, like the students she’ll encourage to discover their talents and interests under the stage lights.